TL;DR: The OnePlus 6T manages to be faster, smoother, last longer, and be cheaper than any other flagship this year. All of that is hard to beat, and no other phone in 2018 comes close. Wow, this year was pretty incredible for phones — and it feels like they’re still coming out (that new tiny Palm phone is really interesting). I always struggle when the fall comes around, because while I get to review some great phones every year, I do want just ONE brand new one to use as my daily driver. I’ve been on an iPhone for the past 3 years, with a few month stint on the original Pixel over a year ago. This year it happened: iPhones became too expensive to make sense. If you’re huffing and saying “if you can’t afford $20ish a month, you shouldn’t be getting new phones,” then let’s do the math, because it isn’ t just $20ish a month. At T-Mobile, a 256gb iPhone XS Max (the one anyone in their right mind would want) will cost you $1,249 over 36 months (people apparently saw the price of 24 months — around $60! — and said no thanks so T-Mobile extended the term). At the time of purchase, you also owe tax on top of a down payment. How much is that? Here in California, it’s this: $499 down + &14.99 shipping + &118.75 tax = $633.73 in one go. Sure, you might be trading in a phone — a 128gb iPhone 7 Plus will get you $185 in bill credits spread out over the 36 months — but it isn’t that much of a relief. Phew. Now that you know that, is the new, best iPhone really worth it? Not when the OnePlus 6T exists. 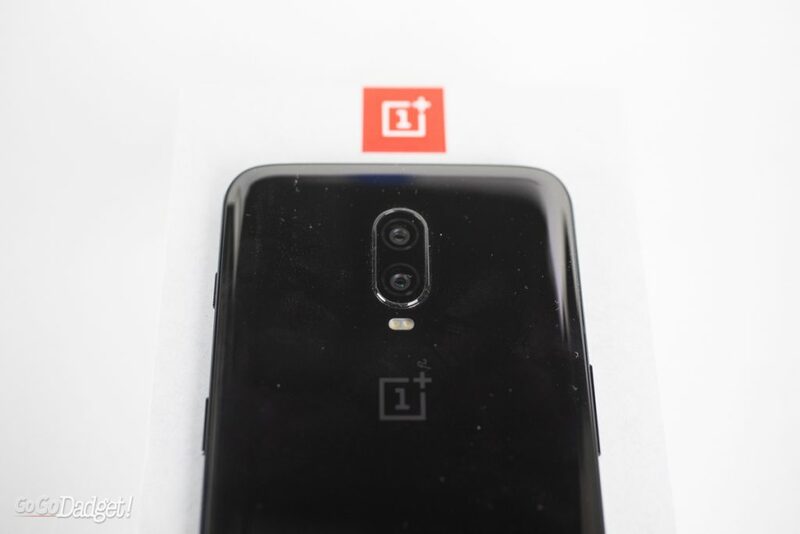 When T-Mobile announced that they would be carrying the OnePlus for the first time ever, and would be the first carrier to carry the young international brand, I got excited. 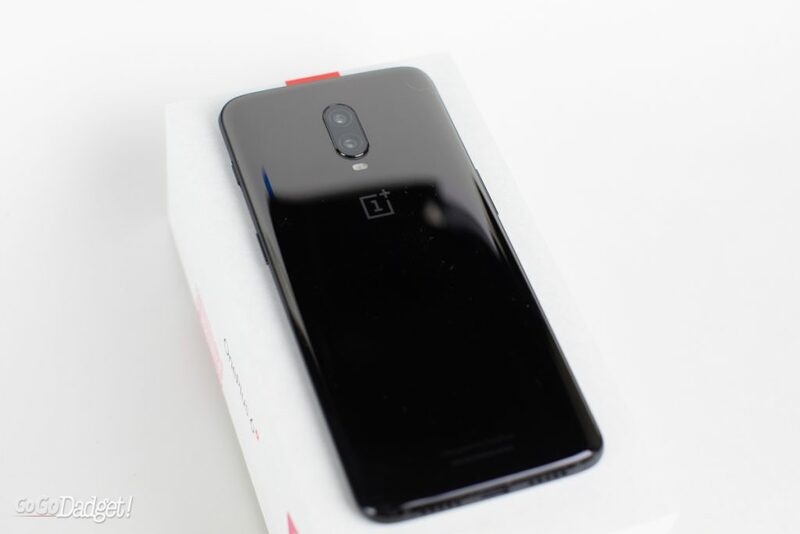 And for good reason: the 128gb OnePlus 6T has flagship specs for $579. Yes, you could buy an entire OnePlus 6T for less than it would cost you for the initial payment for the iPhone XS Max. 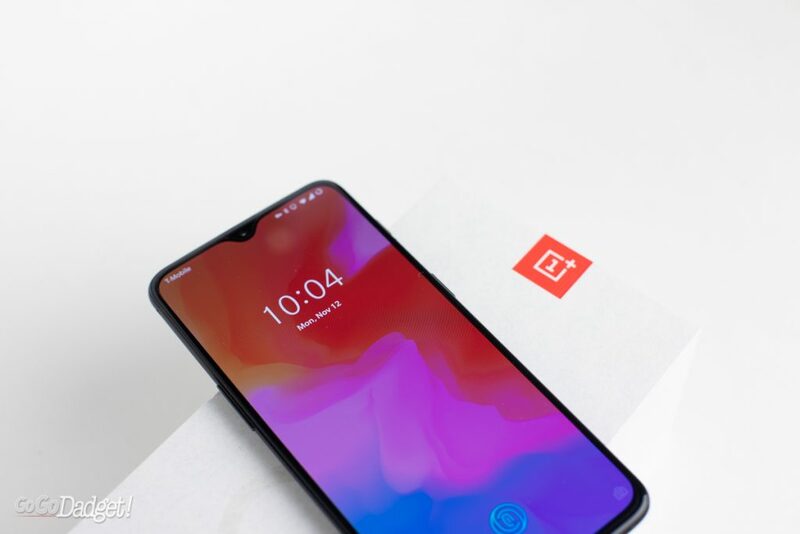 The OnePlus 6T has been incredibly designed too. Not only does it have one of the smallest notches on a phone — it’s just a tiny teardrop — but it has a 6.41in. AMOLED screen that stretches across the phone — and that gorgeous screen has what Apple never figured out: a fingerprint sensor underneath it. No, not below the screen, under it. 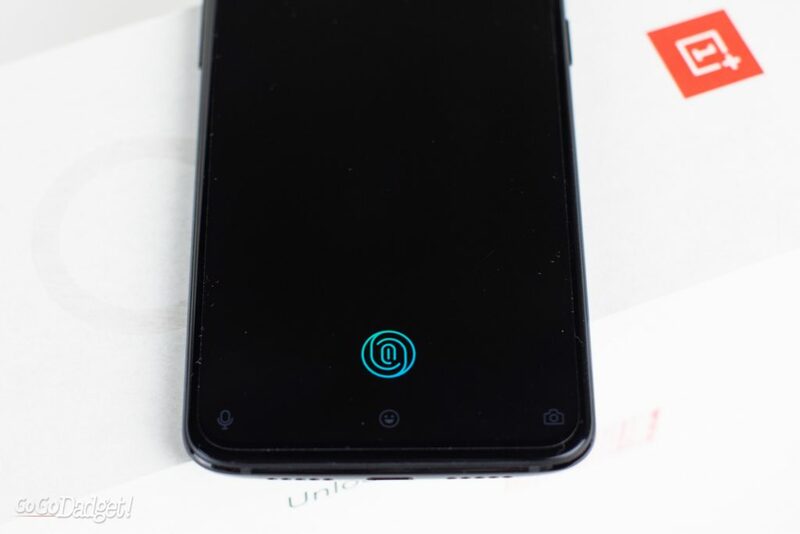 As in, after you scan your fingerprint, it disappears and is just part of the screen. It’s wild, and it works really well. 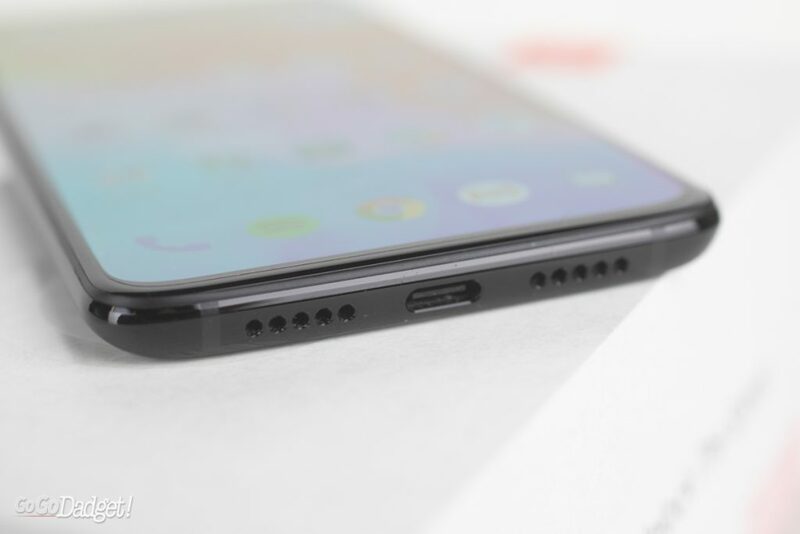 On the bottom, you’ve got a fast charging USB-C port that uses what OnePlus used to call their “dash” charger before someone went after them for copyright confusion. 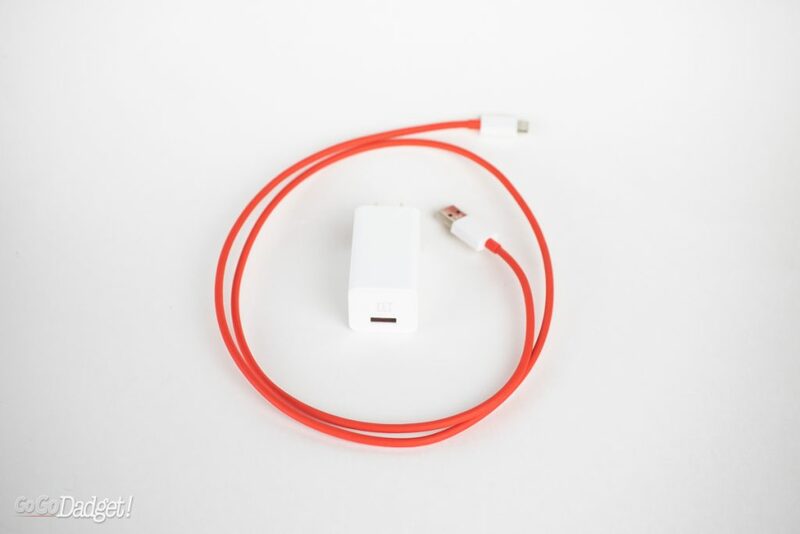 It’s the fastest charger I’ve ever used (30% in about 10 minutes), and has completely changed the way I charge my phone, but more on that later. The bottom of the phone also has the speaker, though it’d be nice to get stereo speakers instead. On the back of the phone, it’s wrapped in beautiful glass (I’m not sure why though, because there’s no wireless charging here — but there is NFC for payments). Absent is the fingerprint reader, because it magically moved to the front, and you’ve got dual lenses near the top. 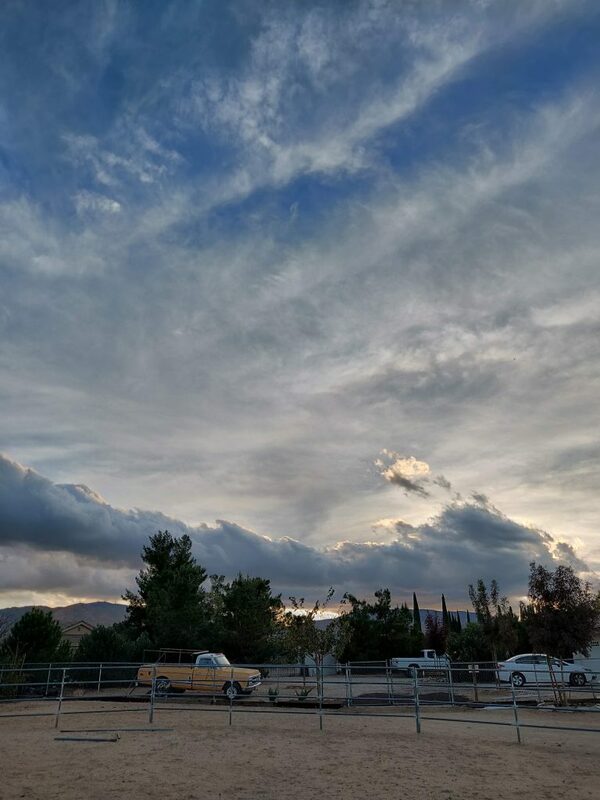 Do not be fooled by other reviews: the OnePlus 6T camera is great. It’s especially great for $579, but more on this later. On the sides you’ve got the volume buttons, power buttons, and one of the best things about the phone: an alert slider. 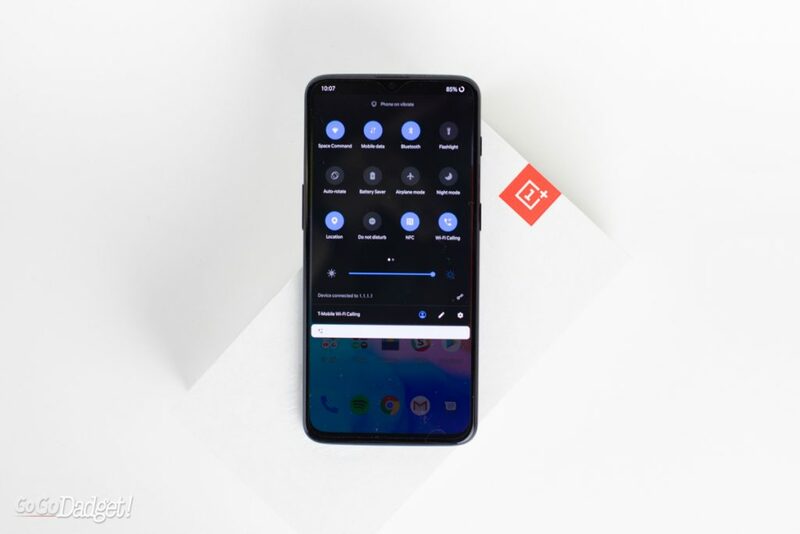 iPhones have a switch that takes your phone from loud to vibrate (hint: always leave it on vibrate, as soon as you get the phone), but the OnePlus 6T has three settings: loud, vibrate, and silent. It’s awesome. Look at this damn thing. I’ve always balked at people who are relentlessly angry about notches (Are they really that distracting? Just get used to it. ), and now they have no reason to get upset if they get a OnePlus. 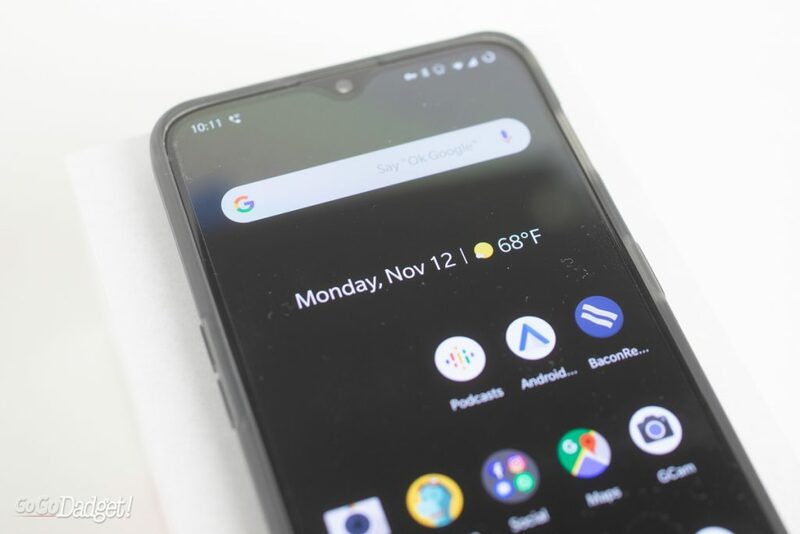 With a 6.41 AMOLED screen at 401 PPI (this is pixel density — put your nose up to your phone and the higher it is, the less likely you’ll see pixels), which isn’t the highest PPI in the game but you’re not going to notice, you have what is essentially an all-screen device. 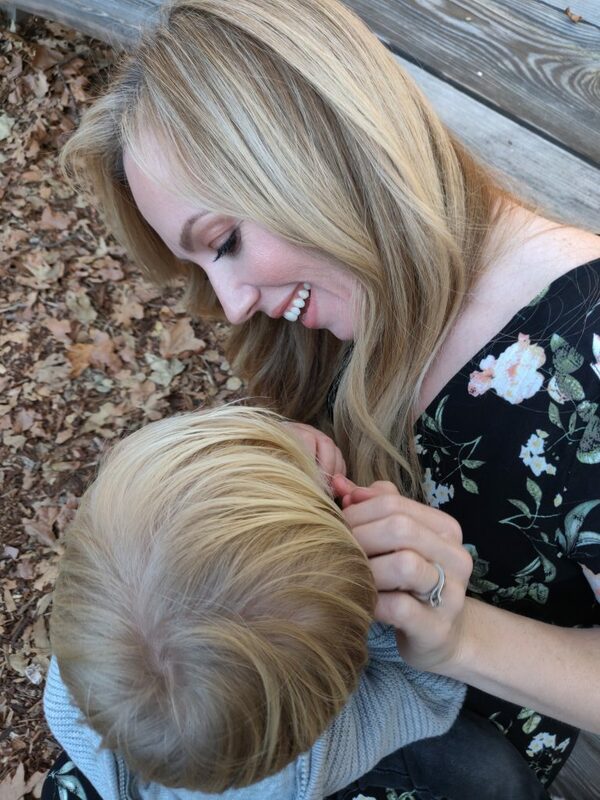 The notch here is just a tiny drip for the selfie camera. AMOLED screens are important for how they display both color, and more importantly, blacks. When an OLED screen shows black, the pixels are turned off. They aren’t glowing black. This is great for contrast, but also great for battery life. 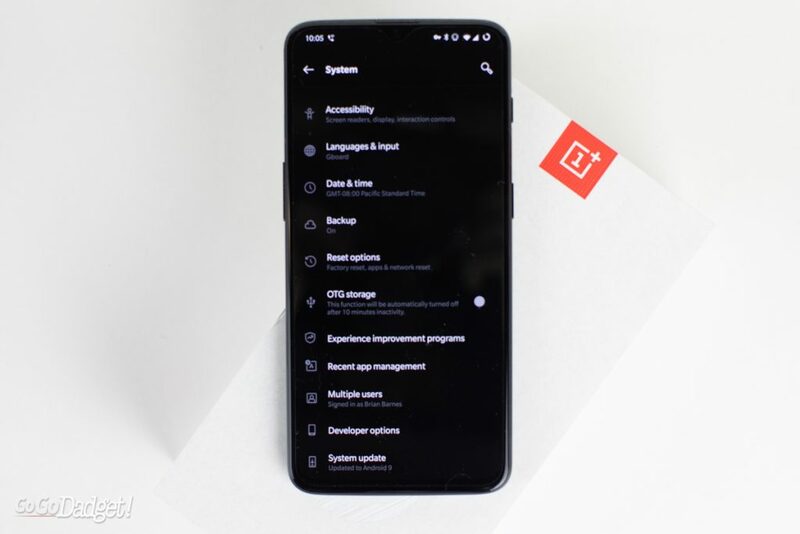 In fact, Google just proved that the darker your screen is, the more battery life you get, and the OnePlus offers dark themes all over the place for you to take advantage of this. But if you want to go bright and colorful too, you can. LCD screens — like in the iPhone 8 Plus and below, and the iPhone XR — really do pale in comparison despite leaps in the technology. The XR is as close to OLED quality as you’re going to get out of LCD, but you can still tell the difference. This phone flies, man. 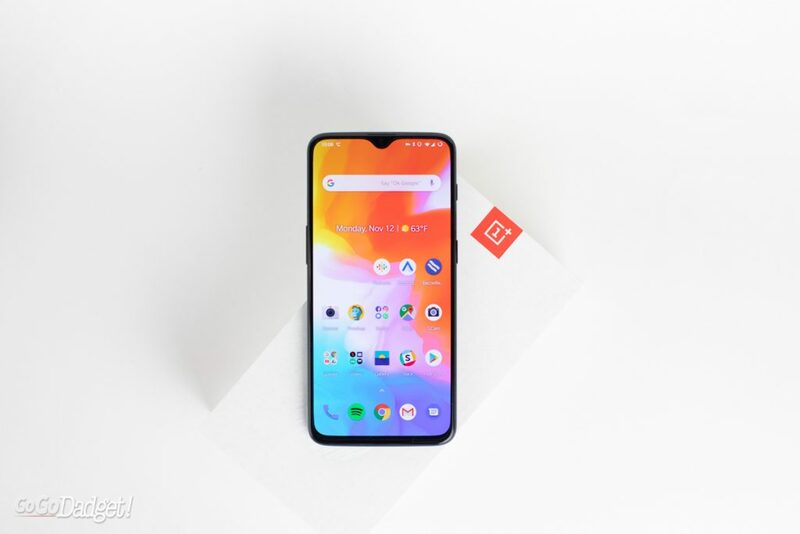 It’s the snappiest phone I’ve ever used, and that’s thanks to the latest Snapdragon 845 processor and 8gb of RAM — on top of how well OxygenOS works with Android. Yeah, the iPhone can get away with fewer gigs of ram because of how optimized it is (only Apple makes iOS phones), and the speed is astounding, but you can’t do nearly the amount of customization with an iPhone you can with an Android phone. Like what? Why would you want to customize anything? Well, the very first thing I did was switch the “theme” to dark, which will help optimize battery life and not blind me at night. You can’t do that on the iPhone. You can also control what the app icons look like, where they go, and add helpful widgets to your homescreen. Anyway, everything about OxygenOS and Android feels really great and really fast here, and it’s no wonder the phone trounces other Android phones in benchmark and speed tests. It’s even powerful enough to handle all of the current mobile gaming and then some. 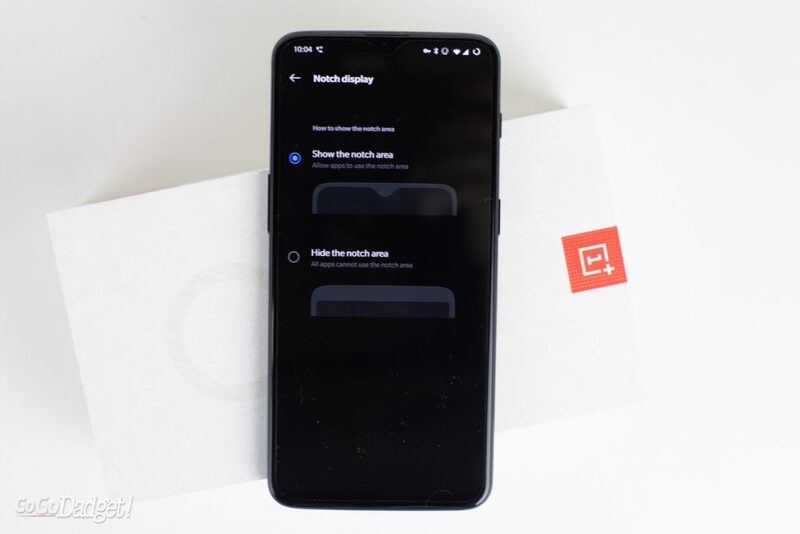 On top of this, OnePlus has added really great gesture controls that feel like the iPhone X and above, except more useful in the ability to “go back” with a quick flip from the bottom sides of the screen. Speaking of that screen, it’s beautiful like I said, but it also hides the fingerprint sensor. I have had zero issues with the fingerprint sensor, and it even sped up after the most recent update. Also included is a face unlock kind of like an iPhone, but it’s less secure — though, very, very fast. The OnePlus 6T has a big battery (3700mAh if that means anything to you), and lasts longer than any phone I’ve ever used. Add this to the fast charger (that’s in the box, with an iPhone you have to buy one separately and it doesn’t work nearly as well) that is the fastest I’ve ever used, and I’m now powering my phone in an entirely different way than I used to. With my iPhone 8 Plus, I used to leave it on the wireless charger all night, then maybe plug it in at my desk for a little extra power while working, and I still felt the need to charge it overnight. The OnePlus only gets charged at my desk for about an hour or so every day. I don’t plug it in at night, and it charges so fast while I’m working in the middle of the day that I don’t need to do anything more to it. Regular chargers still work, of course, but you gotta use the fast charger here to really understand what’s capable. Not leaving it plugged in overnight is less taxing to the battery, too, and hopefully will keep it healthy. The OnePlus 6t has a fantastic camera for a sub-$600 phone, which means it does just as well as my iPhone 8 Plus. It does portrait mode, night mode, and can shoot video at 4K 60fps. Not only that, but it can be made better through software updates — and, remember what I mentioned about customization? 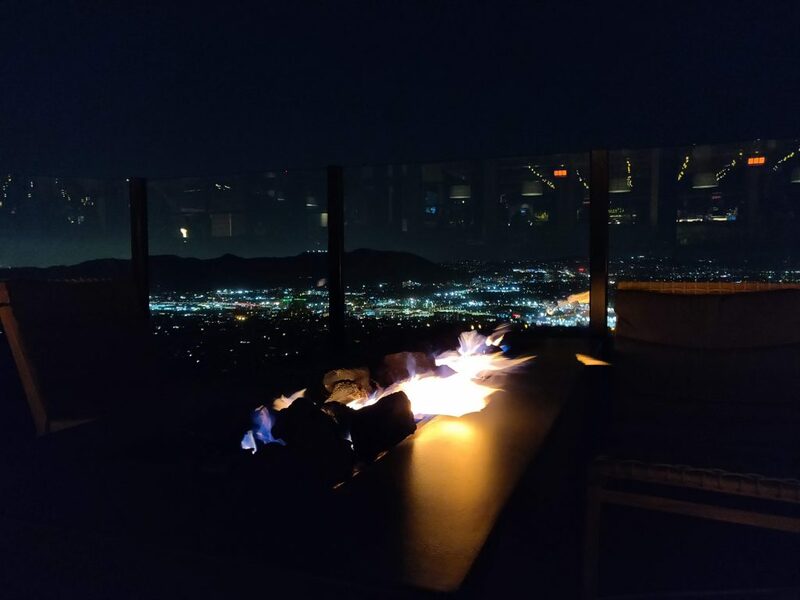 If you wanted to, you can find the APK file for Google’s Camera and load it onto your phone, bumping the quality even more when using Google’s incredible photo algorithms (including the brand new Night Sight). It’s not as scary as it sounds. 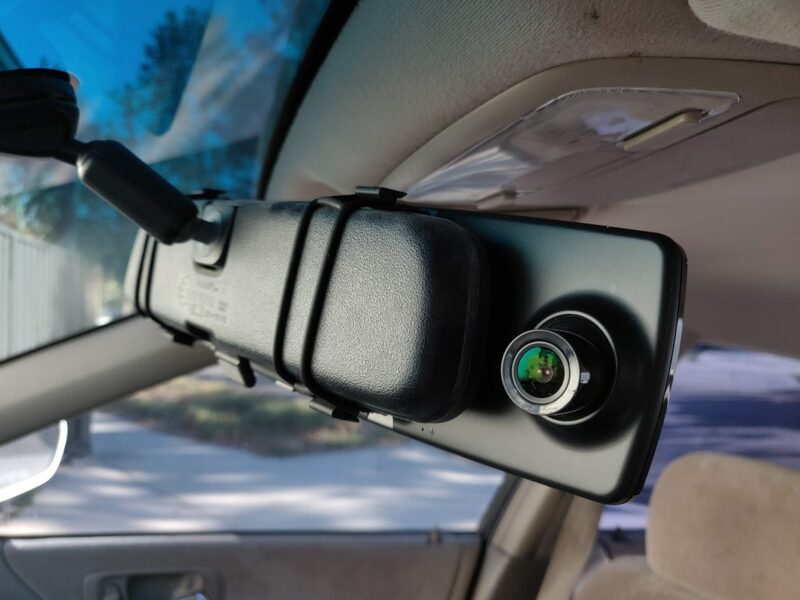 WHAT DOESN’T THE 6T HAVE? A few things, and I haven’t missed any of them. That’s… it. For less than half of the price of an iPhone XS Max. 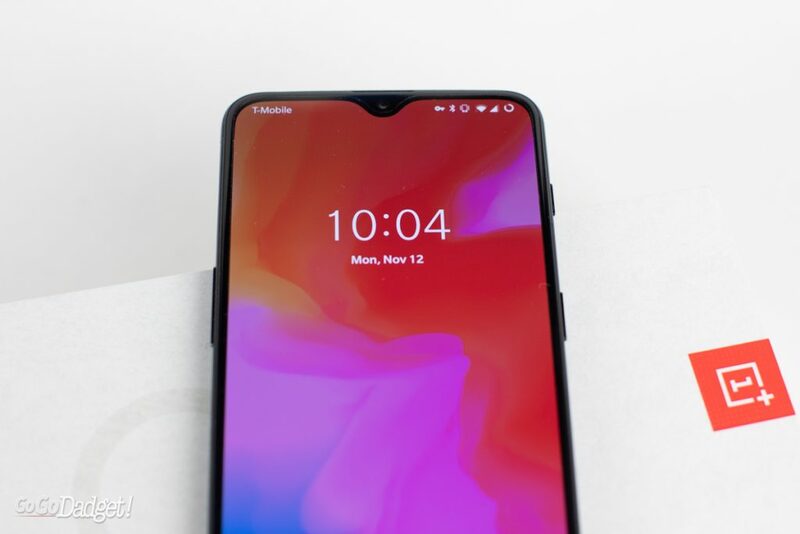 Guys, the OnePlus 6T is a flagship phone for $579. 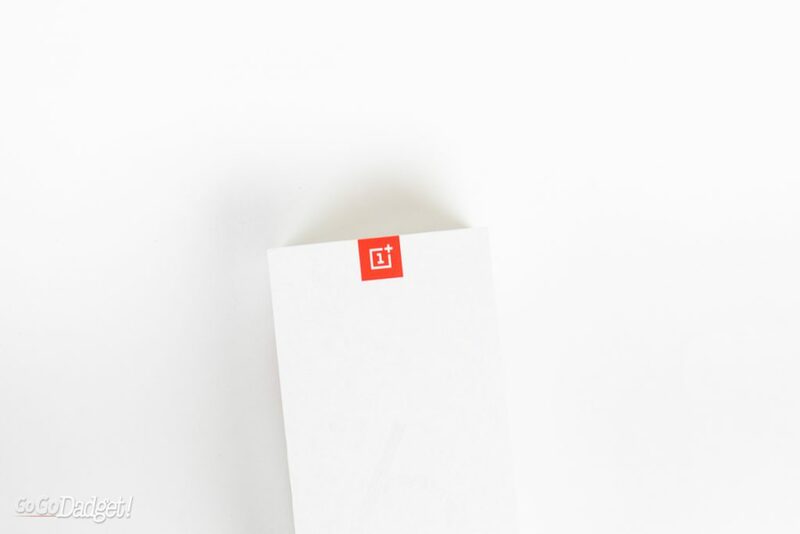 The international version has dual sim capabilities too, and some extra perks if you buy directly from OnePlus. If you buy from T-Mobile, you get some very nice incentives price-wise. 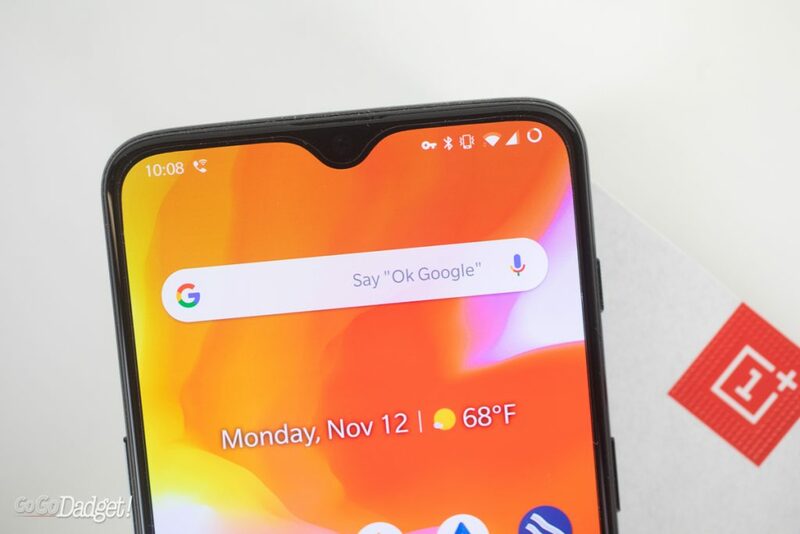 I’m not going to list all the things this phone has going for it all over again, but it has the latest processor, the smallest notch, a gorgeous 6.41inch AMOLED screen, the fastest charging, the first under-the-screen fingerprint sensor in the U.S., and the best battery life, all on top of a software that does Android better than Google. What more is there to say? This is the best phone of 2018.